ResTech has a core team of experienced engineers. Our permanent staff are supplemented by academics from the University of Newcastle. As part of the research process, staff are seconded to where our customers applications are located. This is aimed at ensuring our work remains focussed on delivering commercially viable solutions for industry. The expertise of the ResTech staff is spread across power systems, electronics and computer systems (software development, microcontrollers, etc.). This mix of skills and experience is vital to the success of the company because of the increasing need to apply some traditional 'light current' techniques (digital control, communications, computer-controlled devices, etc. ), to the power systems area. Peter was a Cadet Engineer with the Electricity Commission of NSW while undertaking a degree in Computer Engineering at the University of Newcastle. Since completing his degree in 1987, he worked in the Power Projects (Electrical section) at the Sydney head office of the Electricity Commission of NSW. In 1988 he started work at the Centre for Industrial Control Science at the University of Newcastle, initially as a Research Engineer and later as the Engineering Manager. During this time he was involved in numerous projects, including Orbtrack, a satellite tracking system for earth stations and UNAC, an advanced control system. The involvement was predominately in electronic hardware and microprocessor based digital system design. Peter also assisted with teaching duties at the University, including running a course in microprocessing interfacing and assembly language. Peter commenced a Ph. D. in 1997 at the University of Sydney. His research covered Unsupervised Learning Algorithms and Architectures for the Implementation of Visual Processing. Peter was also employed as a casual academic in the School of Electrical and Information Engineering at the University of Sydney while completing his Ph.D. and also after being awarded his Ph.D. His duties included teaching a number of courses with topics including digital systems design, computer architecture, signals and systems and network programming. In 2007, Peter started work at ResTech where he currently holds a position as Senior R&D Engineer. Work carried out at ResTech includes electronic circuit design, digital systems design, systems integration and other duties related to electrical and computer engineering. Adrian completed his Computer Engineering degree in 1990 and has worked as a research engineer in a number of Australian Research Council Centres for Excellence at the University of Newcastle (The Centre for Industrial Control Science and later The Centre for Complex Dynamic Systems and Control). Adrian has experience in signal processing, control and embedded systems from involvement in a diverse range of projects including commercial satellite tracking systems, mobile hardware & real time embedded software for a commercial Mine Vehicle Monitoring System, the development of software for use in a rapid prototyping of control systems, educational software for control system design and online condition monitoring equipment for large transformers. In 2000, Adrian completed his Masters of Engineering and joined ResTech to continue technical engineering across a variety of projects for industrial clients. After completing his Computer Engineering degree in 2005, Robin became a member of NuBots, the Newcastle University robotics team. During his time with the NuBots the team achieved 1st place in the international Robocup robotics competition. Robin also helped to design and write the code for a robotic bear and dog which was offered as a replacement when the Robocup changed platforms. During his higher education, Robin worked part time for the University of Newcastle as an IT manager. This work involved the administration of Database systems in the Centre for Clinical Epidemiology and Biostatistics. Robin was also employed by the University as a tutor and occasional lecturer in the area of computer programming. In 2007 Robin joined ResTech and specialises in embedded systems and general software development. Urs studied engineering in Switzerland and worked for ABB in the UPS design department for six years before moving to Australia in 1990. Since 1991 he has been an R&D engineer with Ampcontrol and moved to Restech in 2011. In his time with Ampcontrol and Restech he designed control and power electronics for high current rectifiers and various other mining electronic products including intrinsically safe types. Besides the design tasks he factory tested high current rectifiers and he enjoys travelling to sites for commissioning projects. On the power front he was also involved in designing high voltage power factor correction equipment using capacitor banks. Richard received a Bachelor’s degree in Electrical Engineering from the University of Newcastle in 1978. After brief employment at a telecommunications company and a local coal mine he joined Scientechnic (now Ampcontrol). For the next eighteen years he worked as a research and development engineer and the Technical Manager and was involved in the design, manufacture, installation and field support for a wide range of products, including mining protection relays, intrinsically safe systems, mine data transmission and control systems, battery chargers and large 415V and 1000V soft starters for mining conveyor belts. Around 1988, the work in power electronics began to extend into higher power areas such as traction rectifiers for trains (1550VDC) and trams (600VDC) and then to very high power rectifiers. Ampcontrol’s first “Rectiformer” (large water cooled rectifier and transformer combination) was designed and built for a copper refinery in Wollongong in 1989. As the principle designer of the rectiformers and their associated harmonic filters, Richard gradually spent more and more time working in this area and eventually transferred to the Power Division of Ampcontrol around 1996. In the period between 1989 and 2009 Ampcontrol constructed about 25 rectiformers and medium voltage harmonic filters with ratings up to 70,000 A DC and 25 Megawatt. Customers included Aluminium Smelters, Copper and Zinc refineries and Chlorine plants. Other work undertaken for Ampcontrol's Power division included extensive work on power factor correction system design, earth grid design, equipment cooling design and arc fault containment. Richard transferred to Restech in July 2011 and has been contributing to work started by Tim Wylie and Peter Stepien on the analysis and simulation of IT power systems in underground coal mines and the impact of Variable Speed Drives and EMC filters. Greg completed his Computer Engineering degree in 1989, his Master of Engineering in 1991 and his PhD in 1994, all at the University of Newcastle. He has worked as a research academic in a number of Australian Research Council Centres for Excellence at the University of Newcastle (The Centre for Industrial Control Science from 1994 to 1996, and later The Centre for Complex Dynamic Systems and Control from 2003 to 2011), where he was involved in researching and implementing advanced control algorithms in C/C++ for UNAC (an advanced control design and implementation platform). From 1997 to 1999 he worked for CICS Automation doing software and consulting work in signal processing, systems modelling and multivariable control. Between 2000 and 2003, Greg worked as a software engineer for Fairlight, doing assembly language, DSP, embedded C and C++ coding. From 2011 he worked as a control and automation engineer for Primatec and Ampcontrol Automation, involving PLC and SCADA projects, and on-site commissioning work. Greg's project work has involved the development of software and algorithms for use in rapid prototyping of advanced control systems, modelling + control consulting for an airborne minerals exploration system, software for audio editing and mixing consoles, modelling + control + optimisation of sugar mills and grinding mills, automation systems for water treatment plants and other systems, and modelling + control of power distribution networks. In 2015, Greg joined ResTech as an R&D Engineer. Work carried out at ResTech so far includes embedded systems programming and electronic circuit design. Justin graduated from Griffith University in 2012 with a Bachelor of Engineering in Electronic Engineering with First Class Honours and has since achieved exceptional success in the hazardous areas industry. He is the 2017 Engineers Australia (Newcastle Division) Young Engineer of the Year and the 2015 Griffith Sciences Young Alumnus of the Year. 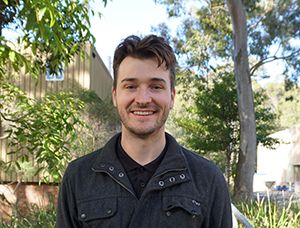 While completing his final year of studies at University, Justin joined a Gold Coast R&D firm designing electronics for hazardous areas with a focus on safety. Emerging as young leader in the industry, Justin brought insight and interpretation of Standards to successfully achieve numerous key milestones in the design, development and marketability of explosion protected products. Some highlights include 13 Ex Certificates of Conformity to numerous standards in the AS/NZS 60079 series. As a result, a suite of these certified products were made available across both national and international markets increasing safety for Miners across the globe. It was this passion for safety and conformity to both Australian and International Standards that led Justin to apply for the 2014 Standards Australia Young Leaders Program. Justin was provided with the opportunity to grow as a young professional through personal development programs and involvement with voluntary technical committees. Since the completion of the program, Justin joined a number of committees and sub committees as a technical expert, including EL-014 Equipment for Explosive Atmospheres, EL-014-04 Intrinsic Safety, EL-014-09 Gas Detectors, ET-006 Australian IEC Conformity Assessment and ET-006-01 Australian IEC Ex Conformity Assessment. Justin has also gone onto attend the 2015 International Electrotechnichal Commission (IEC) Young Professional Workshop held in Minsk, Belarus and was one of the Australian delegates to attend the IECEx Management committee held in Christchurch, New Zealand in September 2015. In 2016 Justin joined the team at ResTech, bringing his expertise in hazardous areas, intrinsic safety, electronic design and conformity assessment to supplement the diverse capabilities of ResTech. Alexander studied Electrical Engineering at the University of Newcastle completing his degree in 2010, with Honors. His keen interest in electronics has seen him dismantling, repairing and tinkering long before he decided upon pursuing engineering as a career. While studying, he was fortunate enough to be accepted into the University of Newcastle's Industry Scholarship Scheme where he completed various work-placements with his then sponsor company. Towards the end of his studies at the Newcastle University, he was given the opportunity to tutor and provide lab demonstration to fellow students in first and second year classes, in the electrical discipline at Newcastle, a past-time that he continues to this day. Alexander was fortunate enough to be involved with Research and Development activities with his scholarship sponsor company and later a radio telemetry company, where his work was mostly associated with system architecture and later embedded electronics and software. Since 2011, Alexander has worked on protection relay design, telecommunications and network switch design, control and monitoring systems design. Now employed as a R&D Engineer with ResTech, Alexander specialises in Embedded electronics with some experience in EMC test and compliance, as well as some experience in embedded software development. Medha holds a position of R&D Engineer software in ResTech. She is currently involved in software development of electrical systems. Medha holds a Bachelor of Technology in Computer Science and Engineering from Haldia Institute of Technology, India. She started her career as a Software Engineer in Wipro Technologies, India and worked there for 6 years before moving to Australia in 2016. She was involved in a range of different projects during her stint with WIPRO including android application development and e-business software management. Some of her work included the development of a MirrorLink application for automotive head unit device, Smart Car Parking System for mobile phones, phonebook Access Profile 1.2 over bluetooth for mobile system and technical support for the PeopleSoft HRMS system. In late 2016 Medha joined the University of Newcastle, Australia as a casual Academic and Research Assistant in the Computer Science department to work on data security & privacy. She worked on the implementation of security measure techniques in software before joining ResTech in November 2017. Francis graduated from the University of Newcastle with a Bachelor of Engineering (Mechatronics) degree in 2015. During his time at University he was an active member of the overseas study community and undertook 6 months of studies at the Technische Hochschule, Ingolstadt in Germany with an automotive focus. Francis also led the University of Newcastle's Formula Society of Automotive Engineers team, NU Racing, in 2015 helping the team to achieve the best result to date in the 2015 Australasian competition. In early 2016, Francis moved to Germany and secured a position in Munich with Bragi, an industry-leading consumer electronics company where he specialised in embedded software development on 'The Dash', the world’s first ‘hearable’. Francis was responsible for the device firmware update capability of the smart device as well as SW build and test systems. In 2018, Francis joined ResTech as R&D Engineer – Embedded Systems. Damon graduated with a Bachelor’s degree in Mining Engineering from UNSW in 2010. Following this, he began a PhD in Geo-mechanics examining Stress Corrosion Cracking of rockbolts and cable bolts (ground support) in underground coal mines. Stress Corrosion Cracking is a failure mode induced by the combination of an applied stress and an appropriately corrosive environment. It causes the growth of hair-line cracks in a material which result in catastrophic failure once they reach a critical length. One of the key findings of this research was the role that micro-organisms played in forming the corrosive environment responsible for generating SCC failures. In 2014 he began work at Jennmar Australia, a manufacturer of ground support products for both the mining and civil tunnelling industries. At Jennmar, Damon worked on range of mechanical R&D projects such as overcoming borehole collapse during rib bolt installation and understanding the role of thread geometry and fastener design on rockbolt pre-tension. He also conducted a number of product failure analyses to help drive the company’s continuous improvement program. In 2018, Damon joined ResTech as Mechanical R&D Engineer – Industrial Design, helping to integrate all of our fascinating electrical gadgets into the real world. Jason graduated from the University of Newcastle in 2007 with a Bachelor of Industrial Design. His hard work also earned him the Dean’s Medal for Industrial Design. Jason is passionate about innovative design, problem solving and process improvement. Before joining ResTech he was able to hone his skill set working for Newcastle Infotech, Treloar and AllightSykes in a range of roles and responsibilities. Working at ResTech Jason is involved in Concept Development, Product Design, User Experience Design and Graphic Design for mining and industrial products. Jason studied Computer Science at the University of Newcastle majoring in Computer systems and Robotics. During his studies, Jason worked part time at ResTech providing IT support, database management, application deployment and web development services from 2011 to 2016. In 2017, Jason started working at ResTech full-time as an embedded systems software engineer and full-stack web developer, specialising in Linux Single-Board-Computer, IoT systems and cloud computing deployments. In his spare time, Jason enjoys working with new computing platforms, frameworks and languages on a variety of Microprocessors, Microcontrollers and Programmable Logic Devices. Jesse completed his Bachelor of Science (Chemistry) with first class honours in 2012 at the University of Newcastle. During his honours year, he worked at CSIRO researching third generation solar cell technology. As a result, he was awarded the John Morris Prize for Excellence in Chemistry, and the Science & IT Faculty Medal. In 2016, Jesse completed a Bachelor of Electrical Engineering with first class honours at the University of Newcastle. In 2014 Jesse was selected as an inaugural scholar of the New Colombo Plan - an initiative of the Australian Government that seeks to lift knowledge of the Indo Pacific in Australia by providing opportunities for undergraduate students to study overseas. This saw him studying Electrical and Electronic Engineering at Nanyang Technological University in Singapore for a semester and undertaking a mentorship. During his undergraduate studies, Jesse focused on developing skills in control theory, robotics, and embedded systems. In 2017, Jesse joined ResTech and is currently working in software development with emphasis on computer vision. Pierre is a Chartered Professional Engineer (CPEng) who holds a Master of Engineering degree from Polytech’ Savoie (France) majoring in Composite Materials, a Master of Engineering Management and a Master of Business both from the University of Newcastle. He moved to Australia in 2006 to work as a Design Engineer. He was recognised in the industry along the way, being part of a team who received a National Engineers Australia Excellence Award for the design of a tidal turbine in 2012 and the Engineers Australia Newcastle Young Engineers Award of the Year in 2013. In 2011, he followed his managerial inspiration and became an Engineering Manager. Since then he has been leading, overseeing, coaching and mentoring Engineers and other professional staff towards the delivery of complex engineering solutions. Today, Pierre is part of the Restech team as a Product Development Manager, helping to make our great ideas a reality.